Website Maintenance – Amity IT Solutions Pvt. Ltd.
Amity IT Solutions offers round-the-clock website maintenance service which is efficient, quick, and affordable. Every website requires maintenance in the form of updates or changes. Some websites require less updates and some websites require constant or continuous updates, additions or changes. Amity IT Solutions maintenance team will stay focused on your website and make necessary changes as instructed by you. Amity IT Solutions content management experts who are a part of our maintenance team will help you to develop and add rich contents in your website. Image optimization – also includes adding new images, graphics, etc. Revitalization of colors in website. 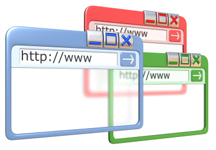 Activating/deactivating links and removing unwanted scripts which pose a hinder to the performance of your website. Redevelop content to amplify your message. Content management – includes editing and re-writing. Complete backup copy of website. Amity IT Solutions website maintenance experts study your website, and transform your website from a simple to a more superior website bestowing you with an edge from other websites which compete with you. With Amity IT Solutions maintenance team, you need not worry anymore of your website.